Have you heard of Leen the Graphics Queen? They have some awesome vinyl wall graphics in their shop! 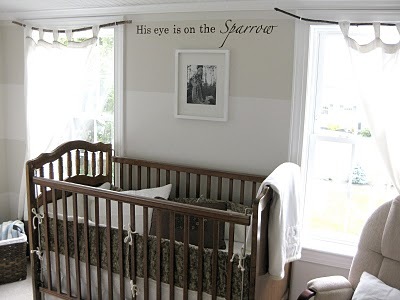 I was completely flattered when I got an email from Leen saying that they created a new product inspired by the painted lettering that I did in my nursery here. Isn’t that the coolest thing ever?! 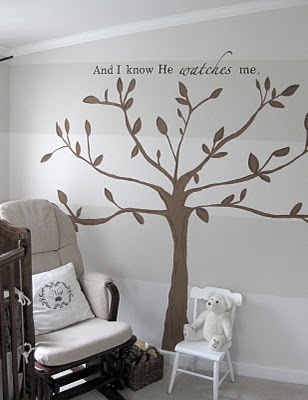 Their stuff is so beautiful and, if you haven’t already used wall decals, they are super-easy to install and remove. You must try it. Oh, and happy Monday everyone! I just got back from a fabulous but quick trip to Ohio to hang out with some of my beautiful family, so I’m in recovery mode. I’m in desperate need of some caffeine to wake me up!